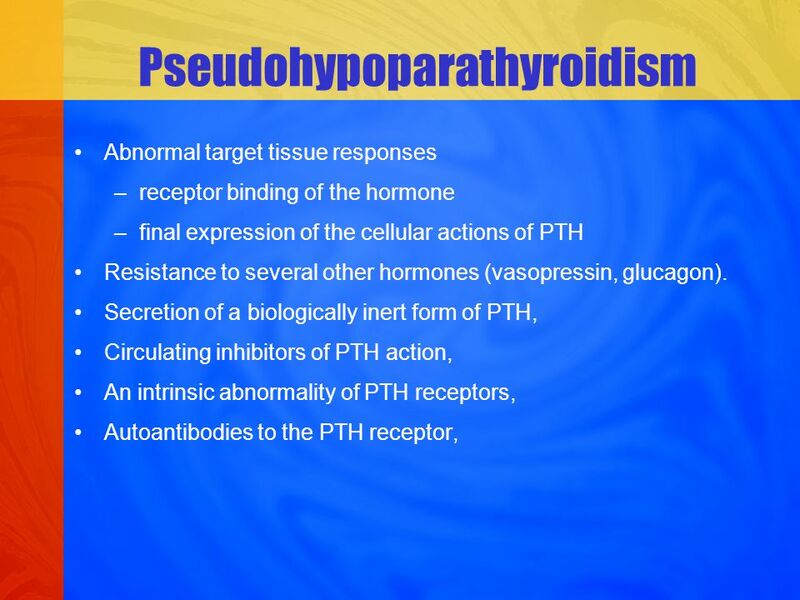 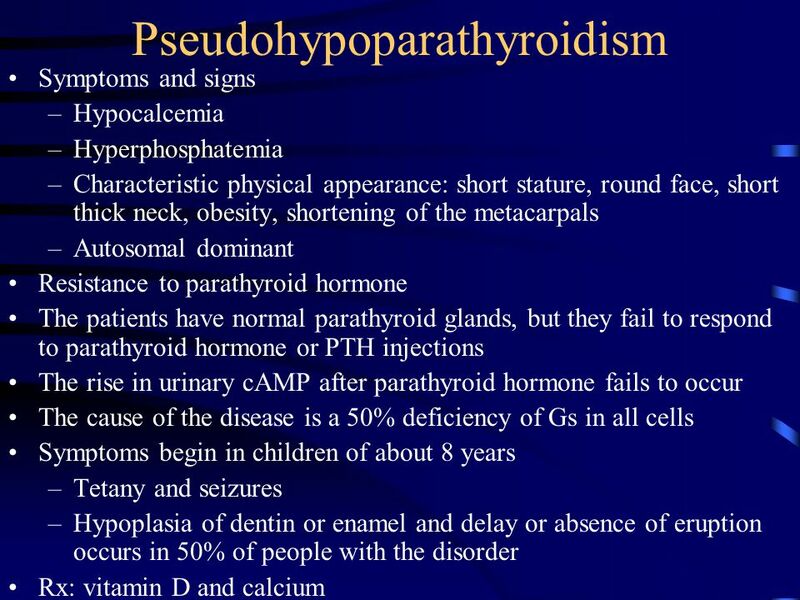 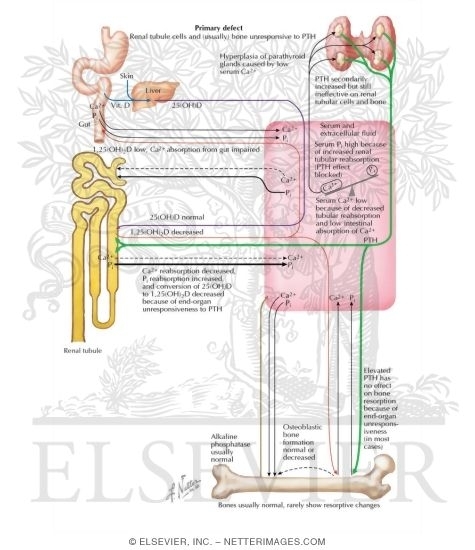 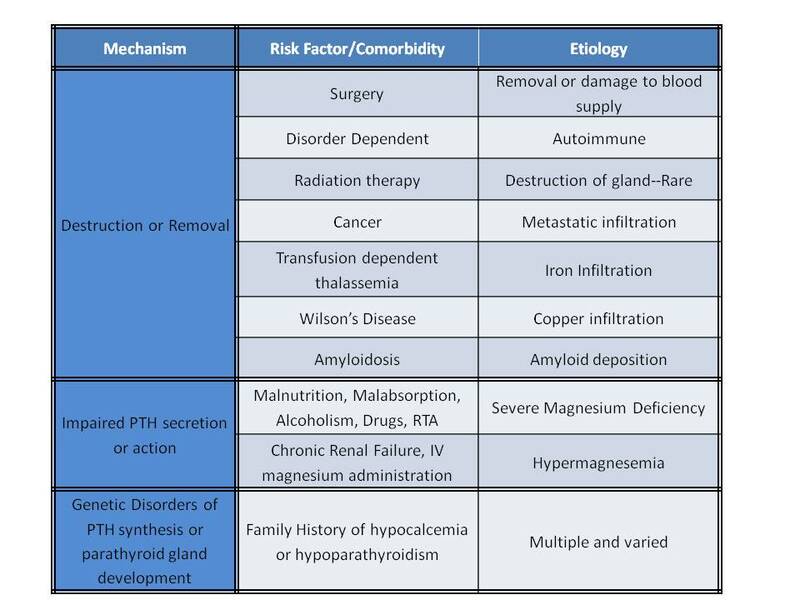 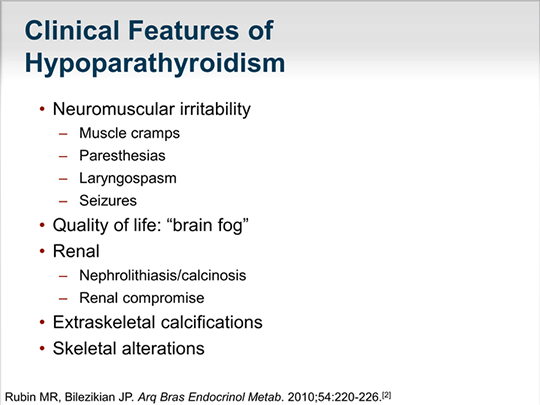 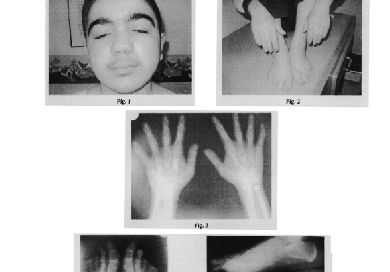 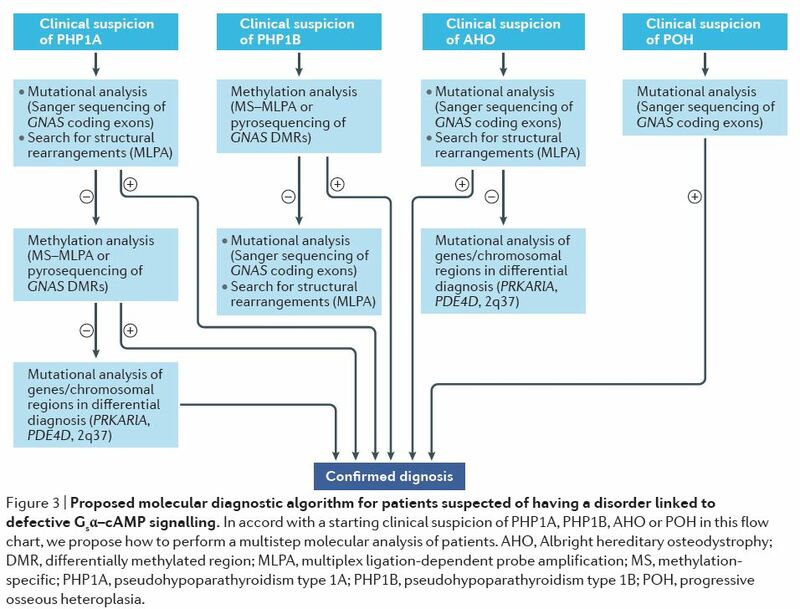 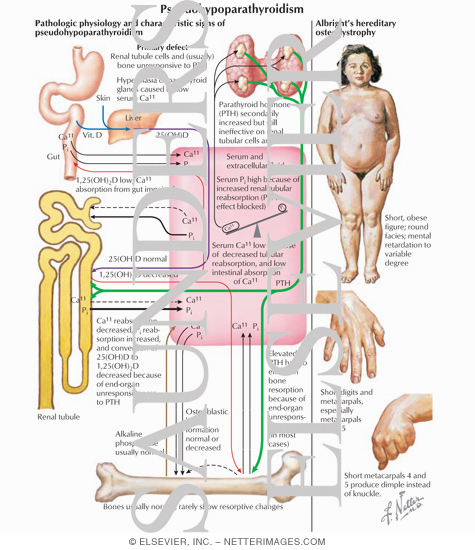 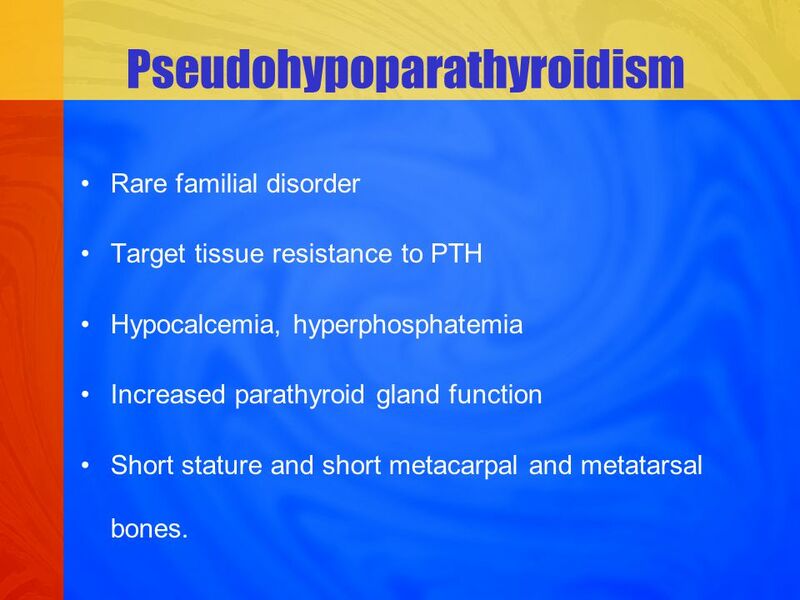 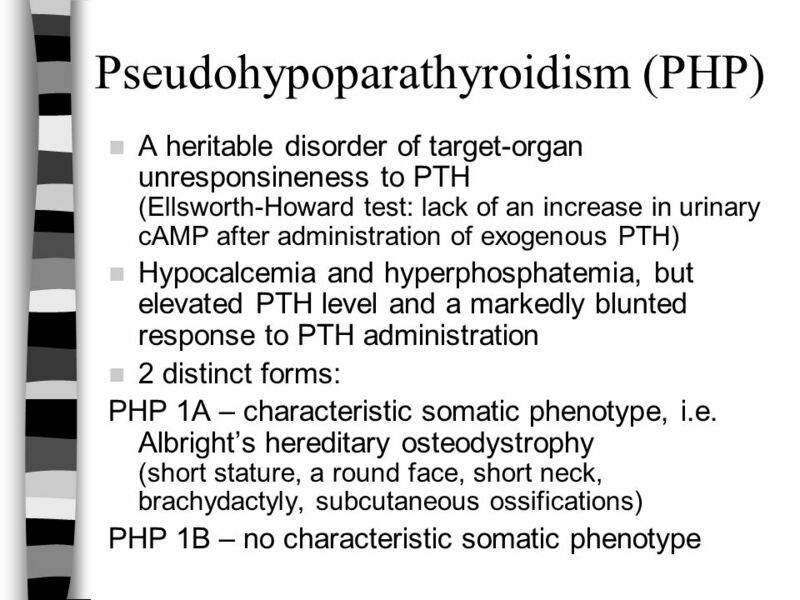 Pseudohypoparathyroidism is a condition associated primarily with resistance to the parathyroid hormone. 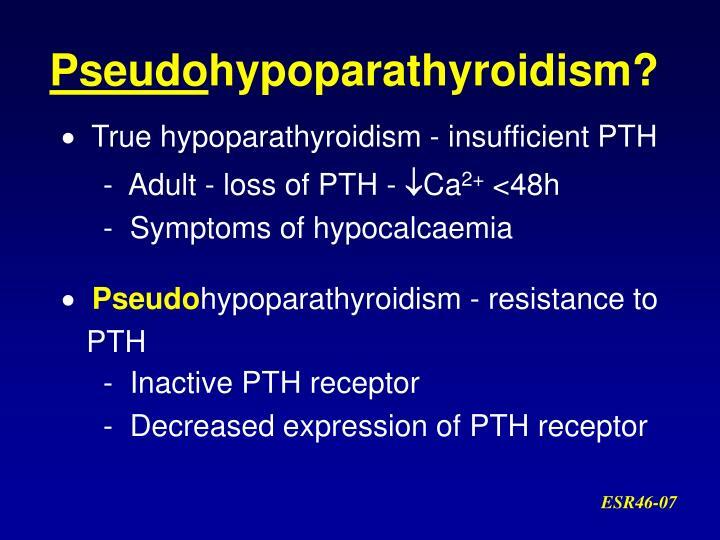 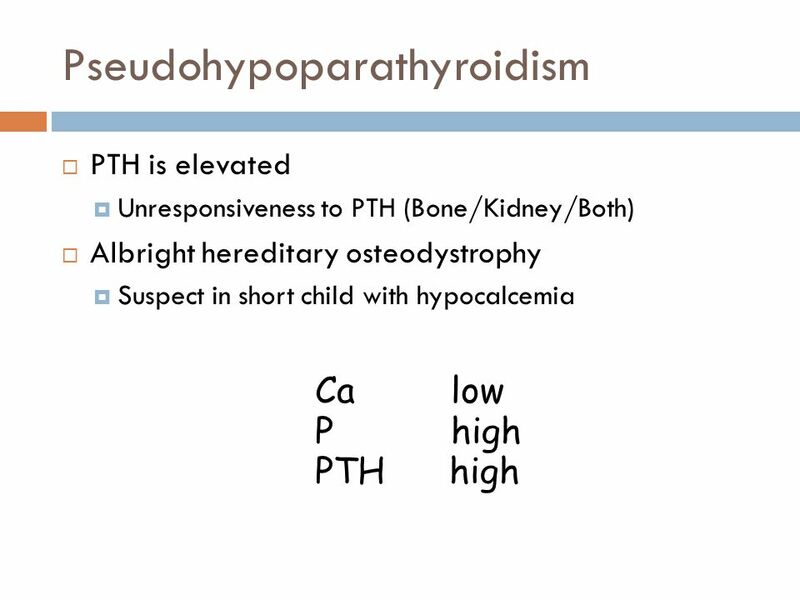 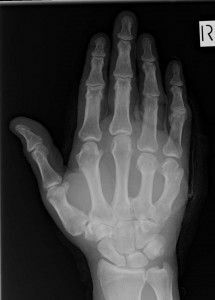 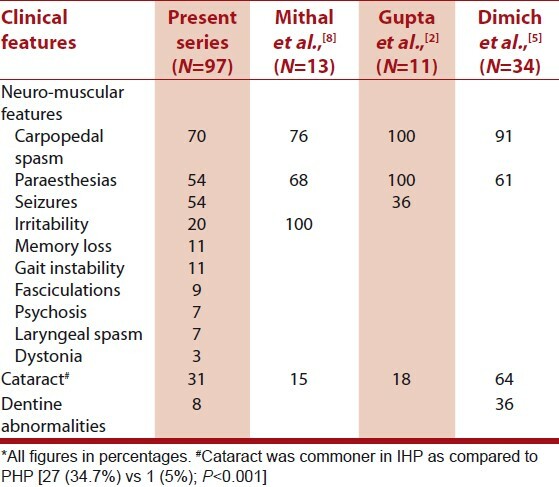 Those with the condition have a low serum calcium and high phosphate, but the parathyroid hormone level (PTH) is appropriately high (due to the low level of calcium in the blood). 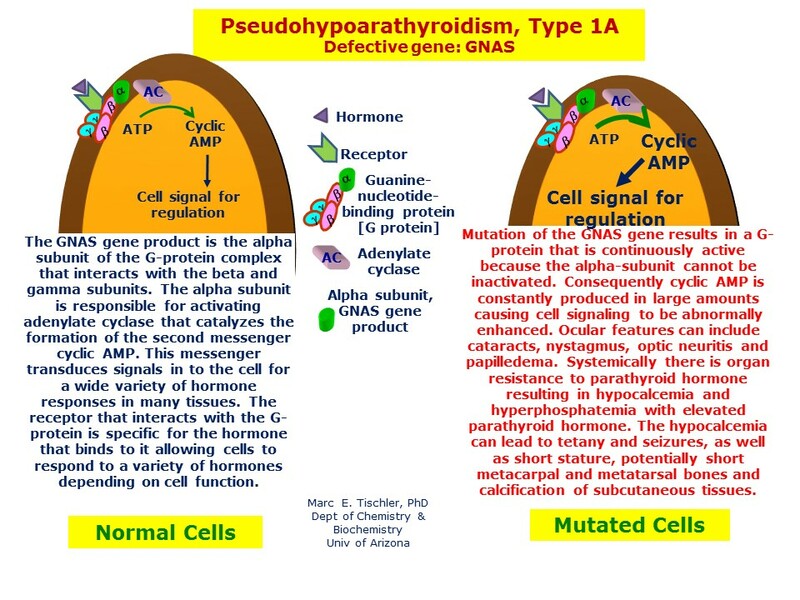 Its pathogenesis has been linked to dysfunctional G Proteins (in particular, Gs alpha subunit). 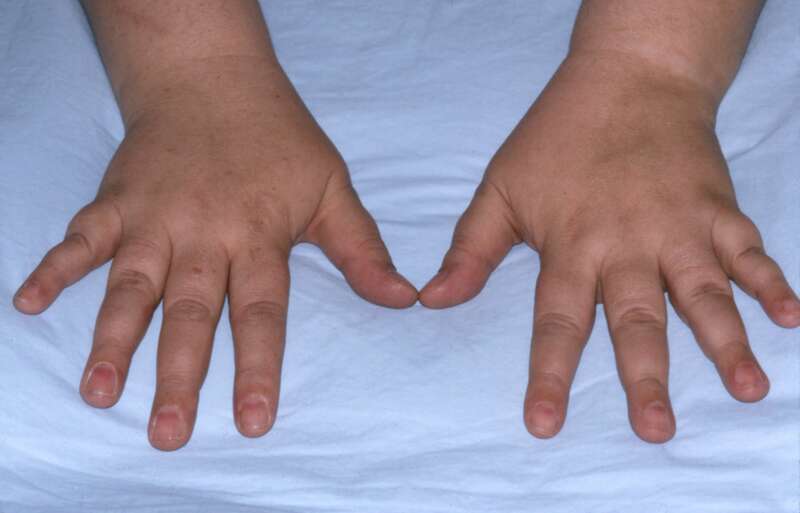 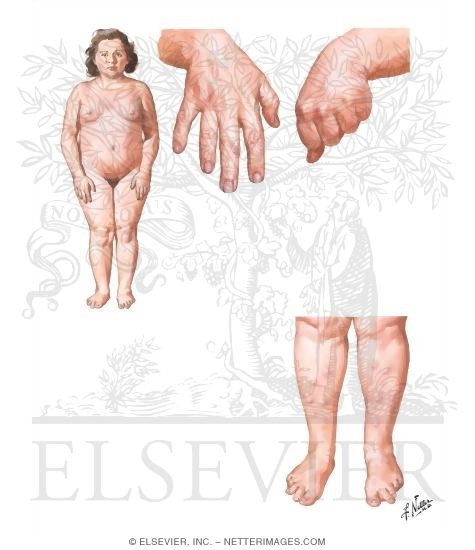 The condition is extremely rare, with an estimated overall prevalence of 7. 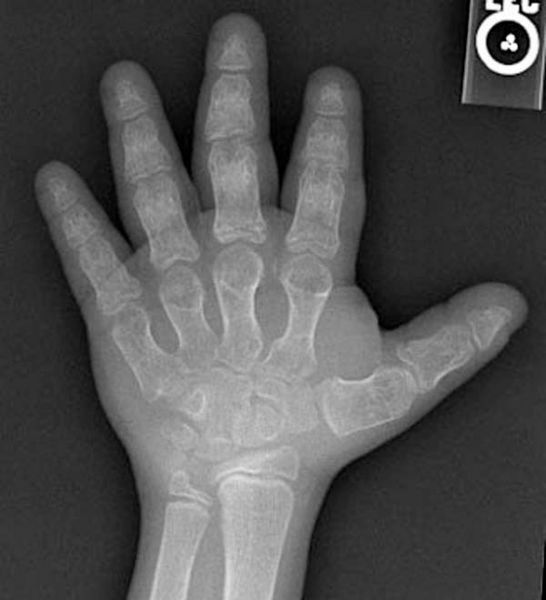 2/1,000,000 or approximately 1/140,000.